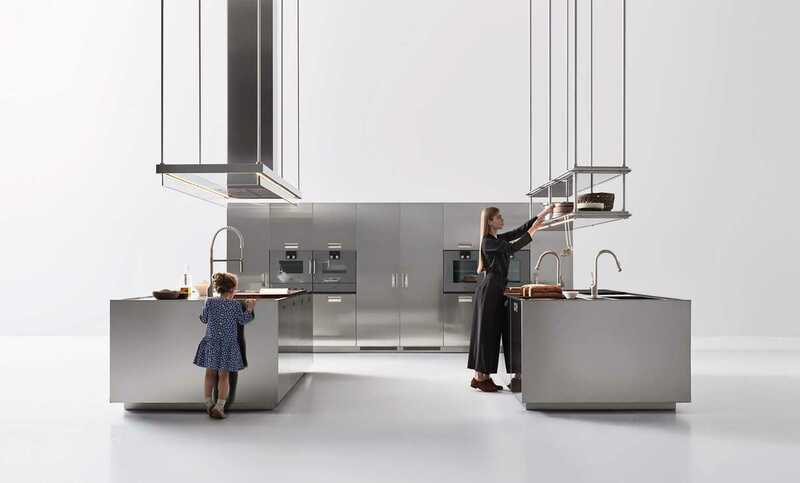 Italia is a professional kitchen for the home, perfect for home chefs who want to experience restaurant-style performance within their own four walls. Steel is the main player: tensile, hygienic and indestructible. 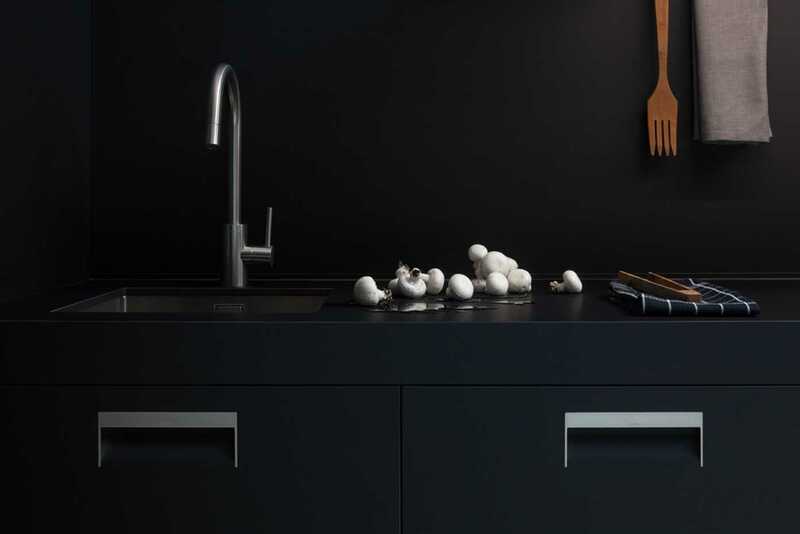 All the layouts adhere to the same principle: generous worktops alongside spacious tall units with efficient, well-planned internal accessories, extended hob tops, two separate washing areas, one for pots and pans and the other for food preparation. 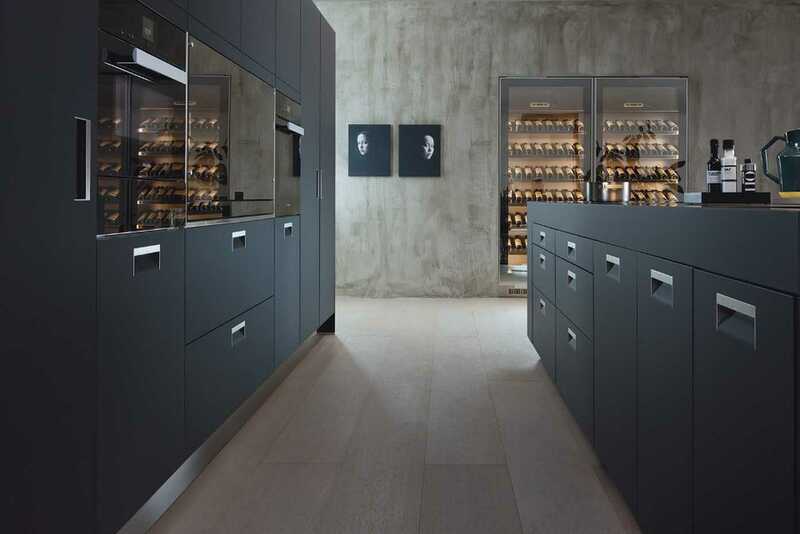 The Italia door with recessed handle is an exclusive Arclinea patent.